"Charleston Cotton Factory," News and Courier, December 19, 1882. 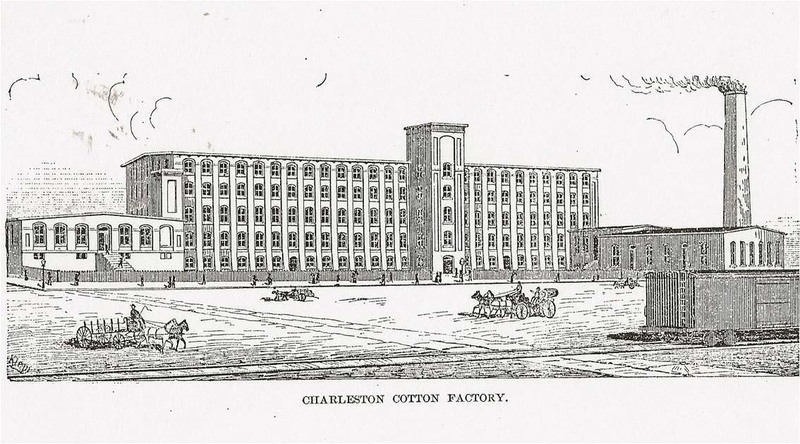 In December 1882, construction of Charleston’s second cotton mill was finished and the factory was ready to open under the management of the Charleston Manufacturing Company. The News and Courier hailed the completion of the mill as “the most significant and encouraging event in the recent history of Charleston.” The factory had three sources of water: an artesian well, a natural spring, and an enormous cistern. There were drinking fountains, washrooms, and water closets on each floor. Fireproof walls, doors, and elevator shafts were installed to contain small fires and keep them from spreading. The highly flammable cotton was also protected by a state-of-the art automatic sprinkler system complete with valves that released sprays of water, “which at a moment’s notice [could] drench every floor in the building.” This feat of automation was achieved by plugging the nozzles with a special wax that would melt at 155 degrees Fahrenheit. The factory was an “integrated” design, which meant the building was equipped to take raw cotton from cleaning to finished product, producing both thread and woven fabric. In the engine room, a twenty-five foot flywheel revolved sixty times a minute, driving a six-foot-wide belt to power all the machinery in the building. A spinner in the Mollahan Mills, photograph by Lewis Hines, Newberry, South Carolina, December 1908, courtesy of the Library of Congress, Prints and Photographs Division, National Child Labor Committee Collection. In the late nineteenth and early twentieth centuries, cotton mills opened throughout South Carolina. Mill owners often preferred to hire predominately white women and children because they could be paid lower wages than men. Machinery proved to be much easier to control than people or market competition. In 1880, only twelve textile mills were operating in South Carolina. While the new mill was under development in Charleston, it seemed that every town and city in the South was building a similar factory. By January of 1883, there were twenty-seven textile mills in South Carolina, and in that month alone nine more were chartered. The Charleston Manufacturing Company opened in November 1882, employing two hundred people—all white, and mostly women and children. The workers—called “operatives”—lived in the northeastern section of the city, “conveniently near the mills.” At first the factory reported no difficulty in attracting eager workers. Yet by September 1883 the directors were warning that assembling an efficient workforce was “a slow and tedious process in a manufacturing community” and “very difficult when all the help had either to be educated or brought here.” Of the three hundred and seventy-eight people on the payroll, forty had been lured away from northern factories. Twenty-five percent of the workers were Charleston natives, and many of the others were short-timers who had been recruited from the mills around Augusta, Georgia, and Graniteville, South Carolina. Spinners and doffers, Lancaster Cotton Mills, photograph by Lewis Hine, Lancaster, South Carolina, December 1908, courtesy of the Library of Congress, Prints and Photographs Division, National Child Labor Committee Collection. Factory work carried a deep-seated social stigma in Charleston—the city was not Lowell or Lawrence, Massachusetts, where “mill girls” flocked in search of employment. Mill managers complained to the News and Courier that although they offered “respectable and lucrative work,” the “poorer young [white] women in Charleston” who typically earned a living by sewing and other “more menial work” simply would not take the opportunity to “learn a trade which will support them comfortably.” It was especially hard to find enough weavers. “In no other southern city has the exclusion of women from business been so rigid and the tradition that respectability is forfeited by manual labor so influential and powerful,” remarked the United States Commissioner of Labor about Charleston in an 1889 report titled "Working Women in Large Cities." “Proud and well-born women,” he continued, “have practiced great self-denial at ill-paid conventional pursuits in preference to independence in ill-trodden paths.” But things were changing. “The embargo against self-support has to some extent been lifted, and were there more occupations open to women the rush to avail themselves of them would show how ineffective the old traditions have become,” the commissioner concluded. Behind these presumptions about women’s labor interests lay a simple economic truth: factory owners sought to hire white women because they were customarily paid about forty percent less than white men. 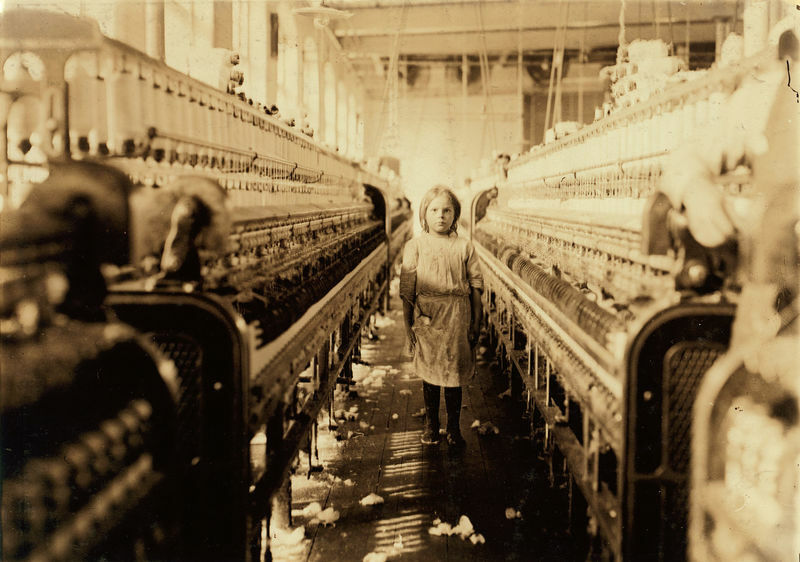 White child labor was even cheaper, and between 1880 and 1910 about a quarter of the southern textile industry’s workforce was under sixteen years old. 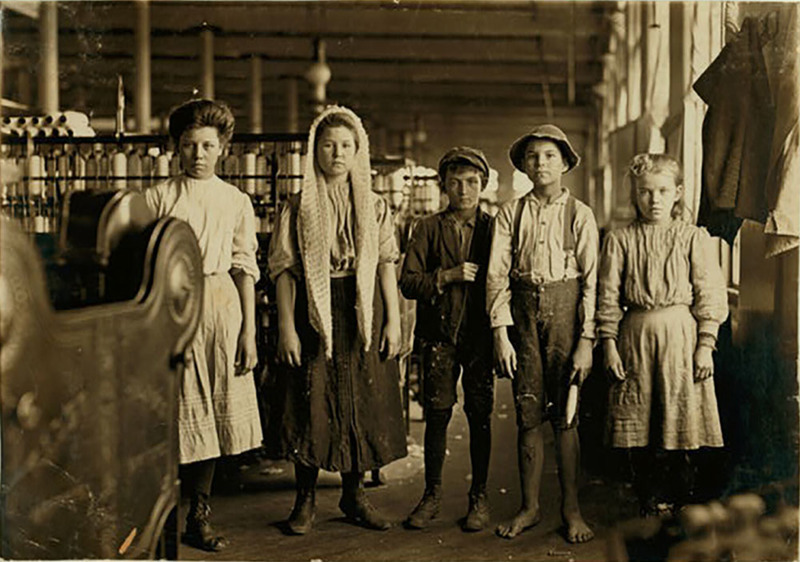 Factory owners often employed children as young as seven to work as doffers and spinners. In 1888, one operative in the Charleston mill had reportedly started factory work at age eight, and another, a boy rescued from roaming the streets, was fourteen. But the women who worked in Charleston tended to be a good deal older than the national norm. In the late 1880s, according to the report quoted above, Charleston had the highest average age of women workers in all major cities, twenty-five years and one month. The national average was twenty-two years and seven months. 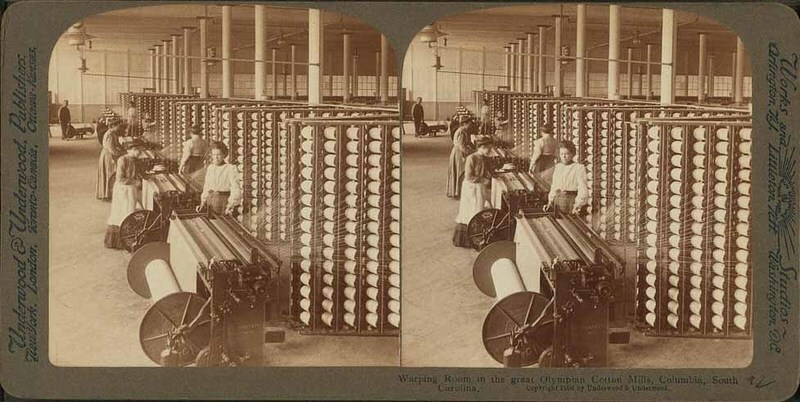 Warping room in the Olympian Cotton Mills, Columbia, South Carolina, ca. 1903, courtesy of the New York Public Library.